You never know what you're going to get with February weather. 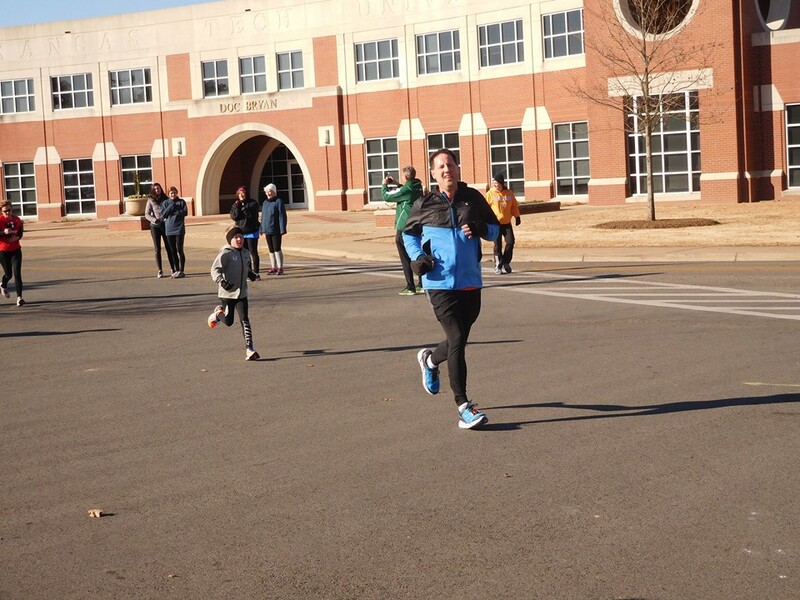 After running in perfectly nice, and not normal, weather conditions for the River Trail 15K last week, the very next week things returned to February normal for the cold and windy Arkansas Grand Prix Valentine's Day 5K in Russellville. I wanted to take it easy on Braden in preparing for the 5K race one week after our 15Ker. 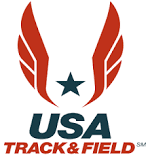 We did some indoor speed work on Tuesday and then on Thursday I wanted to get in a good 5K training run. There are a couple of things in life Braden can do over and over and over again; one is having Subway turkey sub sandwiches and the other is listening to his favorite song...Gonna Fly Now from the Rocky Soundtrack. Nothing gets his running juices going more than listening to that song on repeat throughout a training run. On our last training run before the race, we were jamming to Rocky music and he was flying at a pace I just couldn't keep up with and finished with a time of 22:55; a personal best! After the run he felt fantastic and set an ambitious goal of running a 22:51 for the race. The 22:51 finish would give him not only a new PR, but an 80% age-graded percentage as well, which is something he has been pressing towards since he has been running consistently in the mid to high 70% percentile in his last few 5-10K events. The long-term forecast for the race was looking nice, but as the days drew closer, it was looking more and more likely it was going to be cold and windy with race time temperatures in the low-30's and 10 mph winds. It's always a challenge trying to figure out how to dress when it's colder, and right up to the start of the race we were making adjustments. After he figured how cold and windy it was, he decided to wear his lightweight jacket and his gloves. I told him I'd rather have him a little warm during the run, rather than bone-chilling cold. The two-loop course around the Arkansas Tech University campus was, for the most part, flat and I told Braden I would try to hang with him as long as I could and fully expected him to start pulling away from me after the first loop. Since he was trying for the faster time, I pushed him closer to the start line to save the extra seconds because it was a gun start. Being near the front allowed us to get off to a great start and having the wind to our back for the first half mile enabled Braden to maintain a quick pace. He pulled slightly ahead of me, but at the 1 mile mark we started to head into the wind and that is when his pace dropped off. When we got to the half-way point and the end of the first loop, I had pulled back ahead of him. Here comes Braden, closing the gap with his finishing kick! Knowing that half the race was over, I looked at our pace and could tell he was most likely not going to be able to get the time he was wanting. I kept waiting on him to make a move to pass me up again, but he was struggling against the elements. His pace improved a little bit from the 1.5 to 2 mile mark, but for the next half mile his pace got slower again. At the 2.5 mile mark he was having to head into the wind again and for the next half mile he was doing all he could to get faster. All during this time, I was maintaining about a 30 meter lead over Braden and I was trying to encourage him the best I could from a distance. He was trying his best to catch up to me and on the last tenth of a mile kicked it in as he made up the distance I had built up between me and him. In the end, we crossed the finish line together as he finished with a time of 24:36 at a 7:56 minute per mile pace. After we finished, he had a tough time processing through his feelings concerning his time. 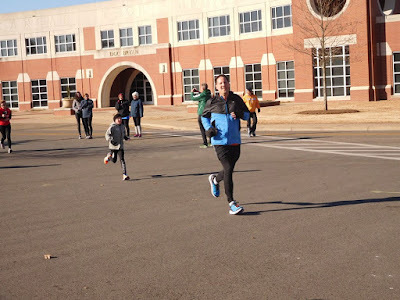 I told him that he ran a pretty decent race considering the wind and cold, but he was hard on himself saying he didn't do good because he was so far off the time he was wanting to get...especially compared to his training run from a few days earlier. I mentioned that on our training run the temperatures were in the 50's and it wasn't quite as windy, but he was still disappointed. Right now he's in the mindset of continual improvement with his faster times and combining that with his competitive nature, he looks beyond just being able to finish in first place. With that being said, I can understand and empathize with him when you know you can hit a goal, but for some reason it's just not in the cards. 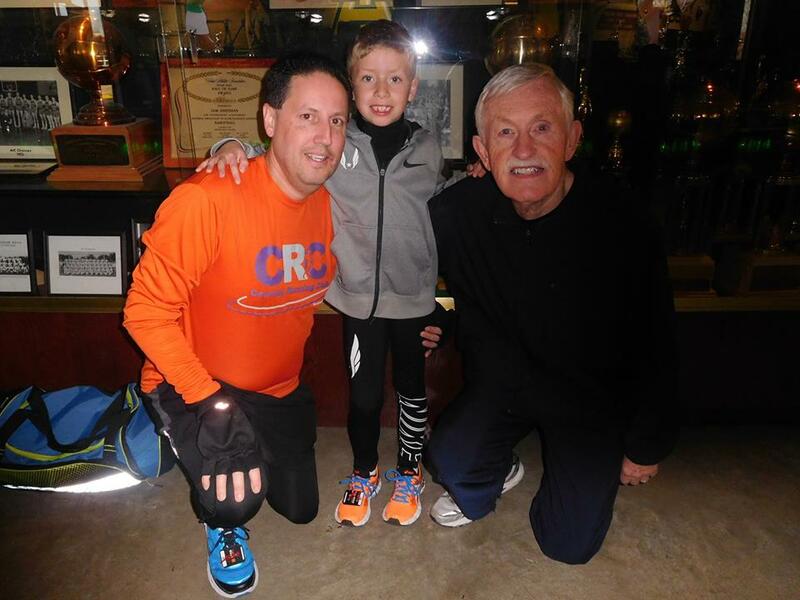 He came in first out of five in his age group, he was 61st out of 105 male runners, and he was 89th out of 222 runners overall. Lastly, the part that lifted his spirits the most, was when I told him his age-graded percentage was still 74.31%; which was 19th best out of the 222 runners who ran. Hmmm...I already received one of these things, what do I do with this one? 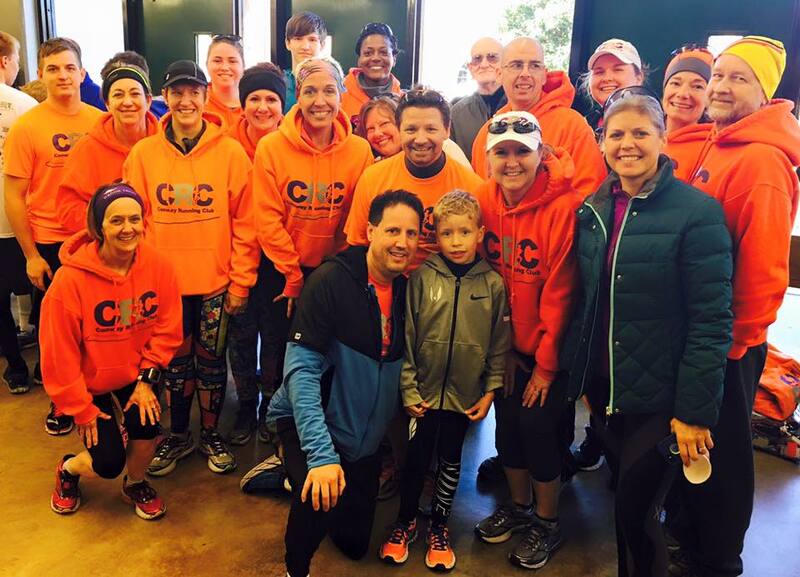 CRC out in full force! Since the Valentine's Day 5K was a non-championship Arkansas Grand Prix race, Braden picked up the full 20 points and is in first place with 80 total points for the season. I finished seventh in my age group, picked up 2 points and is in sixth place in the standings with 26 total points. Papa Bernie finished first in his age group, picked up 18 points and is in first place in the standings with 75 total points. Thankfully, Braden doesn't dwell on the negative for too long and he knows he has three more chances to break the 80% mark before he turns 8 years old. 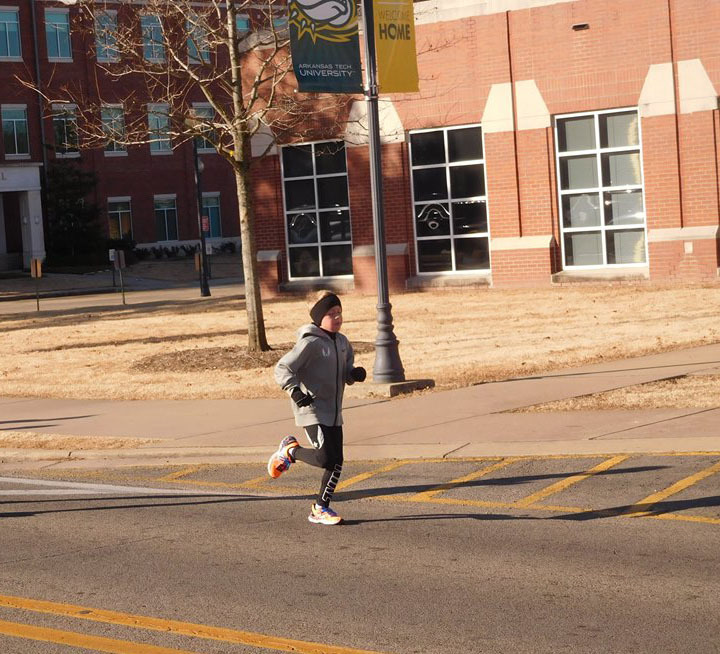 First he'll run the Little Rock Marathon 10K where he'll need to get a time of 47:03, then the Chase Race 2 mile run where he'll need to get a time of 13:38, and lastly the Spring Fling 5K where he needs to get a time of 22:51. We have three weeks before the Little Rock Marathon 10K, so not only will we be working on some faster 10K training runs, but also the quicker 2-3 mile training runs as well.